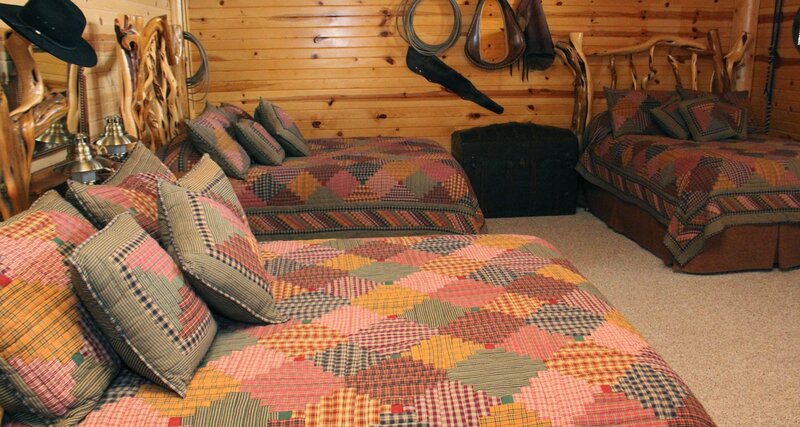 The Bunk House has 3 double beds with a sitting area, an antique Armour and dresser. 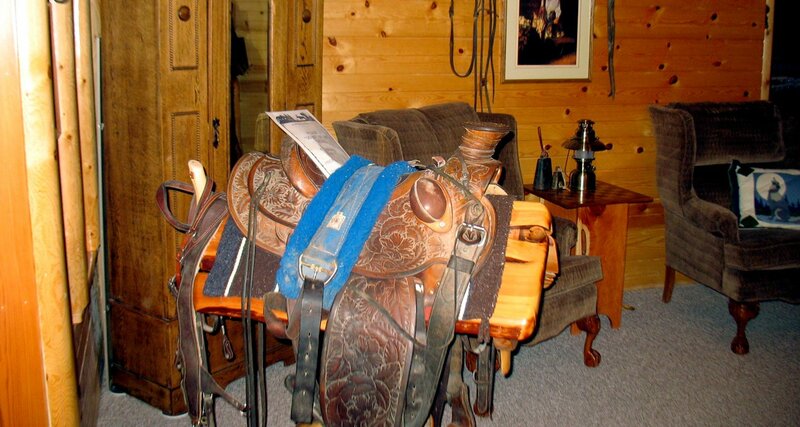 The bunk house is decorated with a western theme using antique items from rural America. 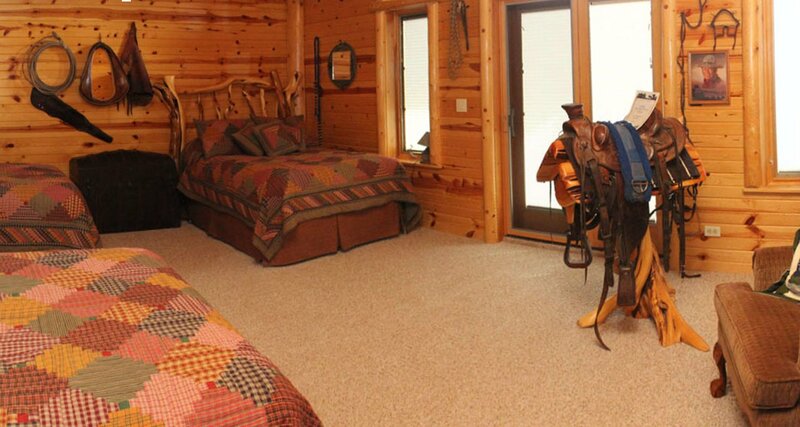 The room has a private bath and is located on the lower level with a view of Anderson Ranch Reservoir and easy access to the hot tub. This is great room for a family or a group of friends!